Please join me for a creative and inspirational workshop during which I will show you my non traditional style of watercolor painting. We will do some painting coupled with some encouragement and light refreshments. You will walk away from this 2 and a half hour workshop feeling refreshed and with your own piece of framed artwork painted by you. Saturday November 3 2018, 2 - 4:30 pm at my home studio in Delray Beach. Supplies and materials included. Regular price $40. 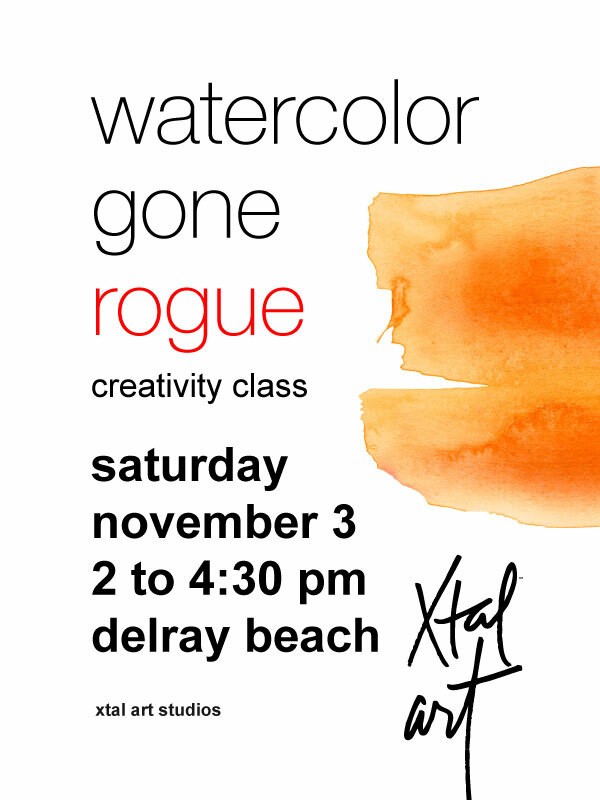 For mor information email artist@xtalart.com or call 305.336.2012.